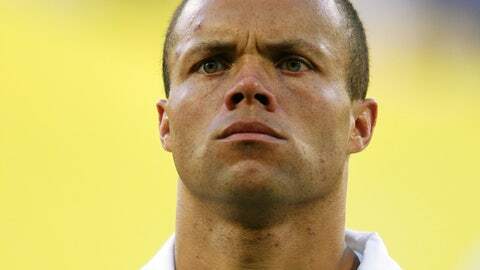 Former United States midfielder Earnie Stewart will join Philadelphia Union as sporting director when his contract with Dutch side AZ expires at the end of the year. Earnie Stewart has been brought in to right the Philadelphia Union’s ship. The former U.S. international will leave his post as director of football affairs at Dutch club AZ to take over as sporting director with the Union on Jan. 1, the MLS club announced Monday. The 46-year-old will "oversee and guide all Union technical and soccer-related decisions working closely with the Union first team, USL team and youth academy," according to a news release. "From the first moment I spoke with the Union about the direction they wanted to go, I was excited about the long-term opportunity and my ability to help execute on our shared vision," Stewart said. "I will work my hardest to hit the ground running for the Union and be ready for the important decisions the club will make entering the 2016 season." Philadelphia has failed to qualify for the MLS playoffs in five of its six seasons since entering the league in 2010. At 10-17-7, the Union finished ninth in the Eastern Conference this past season. Earlier this month, the club announced the departure of longtime CEO Nick Sakiewicz. Stewart, who represented the U.S. at the 1994, 1998 and 2002 World Cups and won the 2004 MLS Cup with D.C. United, served as technical director of Eredivisie side Breda from 2006 to 2010 before taking his current post with AZ.